I have come across many people who know very few things about their own self. They have little knowledge of who they are, what they want to be, or their opinions on general issues that happen around the world. 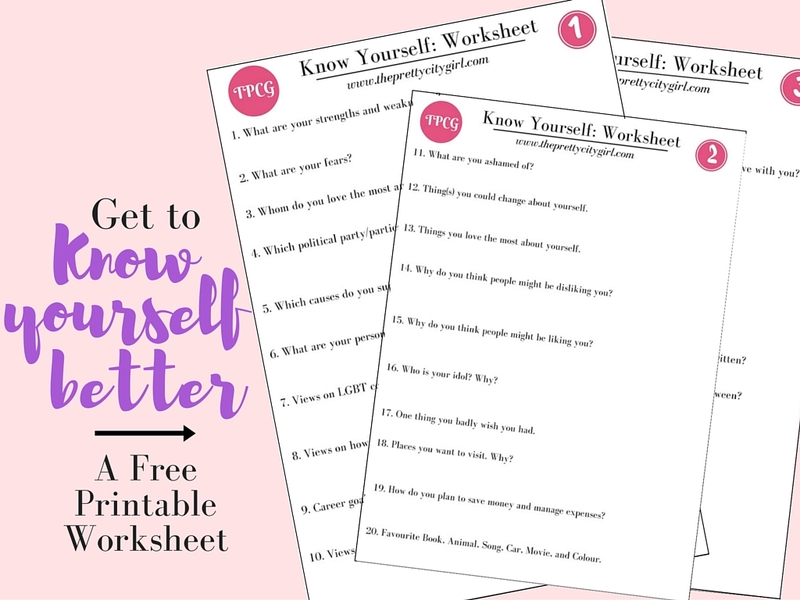 In order to get to know yourself better, I have written down 30 questions. 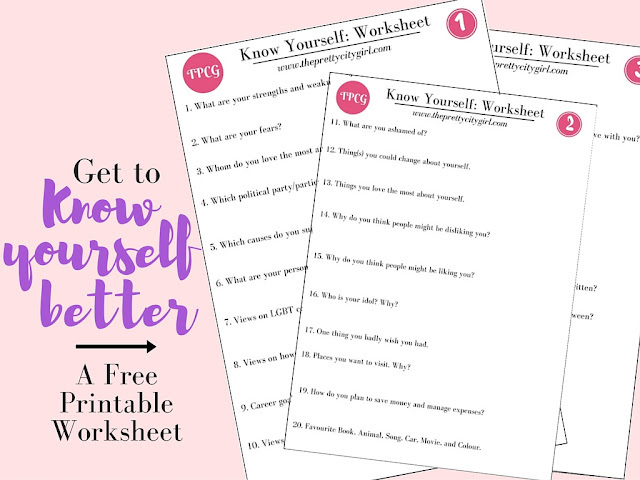 Download the printable worksheet that has three pages and try to answer all the questions. You'll be stunned to know the result. Take as much time as you want and do keep it private. Write down just whatever you feel like. You can answer these after every year and you'll see how certain dreams have changed and how opinions on certain issues remain the same. Click on the link below to download and print.